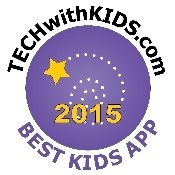 Every year, we search for the best kids apps to share with you on this site. This recommended list is a compilation of the Best of the Best of apps released (or substantially updated) in 2015. We have arranged the apps on this list by age. Use this list to create a library of kids apps that will engage and teach your kids. Four adorable baby animals await your child's care and nurturing. Charming toddler app where adorable animals appear when kids swipe the surface with digital paint. Toddlers and preschoolers make objects come alive by combining geometric shapes. A delightful hands-on story about a lost coin rolling through a zoo. Frolic with the famous Very Hungry Caterpillar in this reimagined world of Eric Carle’s book. Enter a world where monsters cavort as they swap out body parts in order to fly, swim, and stomp. Dazzle your kids' senses with this alphabetic journey into creativity. Innovative fairy tale told from two viewpoints -- Goldilocks's and Little Bear's. Animal friends, pulsing with rhythm, want to show off their dance moves to the music your kids create. In this eye-opening dress-up game, girls see that they can be doctors, firefighters, and more. This revamped version of the Dr. Seuss classic book overflows with fun animations, interactions, and learning games. Join Doc McStuffins on a bicycle race to rescue broken toys where players perform the doctoring and the driving. Kids join in on the telling of this classic fairy tale by controlling the narrative and playing inside the scenes. Kids solve fun puzzles where numbers are adorable characters that speak, wiggle, join together, and divide. Hilarious monsters cavort across the screen as they act out the meaning of Spanish words. Kids capture a gang of outlaws in this rootin'-tootin' spelling game. Odd Squad headquarters is suffering from a mini-blob invasion! Kids use math and logic to wrangle the balls of goo back into containers. Kids rev up their curiosity and learn about the world by taking on DIY challenges, watching curated videos, and sharing creations. 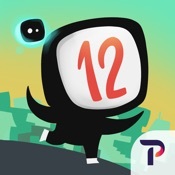 Kids join the numeric hero 'Twelve' as she runs, jumps, and solves math equations to save her world! Jake and Finn from Adventure Time invite you to join them in making your own video games!